Quote Us can provide liability insurance to all types of UK businesses, organisations and individuals who need public liability insurance, employee liability insurance aka. employers liability compulsory insurance or professional liability insurance covers. We also offer tradesman liability insurance for trades like trades like plumbing, painting and decorating, and many others. Our liability insurance policies are tailored to suit your type of business. We offer public liability insurance, professional liability insurance, employee liability insurance and also tradesman liability insurance. Public liability insurance is important for all the businesses that get visitors to their premises. The visitors could be members of the public, clients or customers. There can be accidents like a customer slipping or tripping in your premises and getting injured, which can in turn result in him making a public liability insurance claim. So the public liability insurance policy that we offer you will cover you financially (legal fees and expenses) in situation of a claim against you. Quote Us also recommends public liability insurance to those who run their business from home, and clients come to visit them there. The public liability insurance will also cover you if you damage someone else's property while carrying out your work. Our Tradesman liability insurance policy caters all kinds of trades like contractors, small businesses and self-employed tradesmen. The premium you will have to pay for your insurance policy will depend upon the type of your trade. Quote Us can provide specialist tradesman liability insurance advise for tradesman having risky occupations like that of roofers etc. Even the smallest off errors or mishaps can ruin the occupation of a tradesman. Therefore it is very important to opt for Tradesman liability insurance as it will cover you against any injury, accident, damage or other legal action taken against you in the course of your work. We also offer optional features in tradesman liability insurance like tools cover, goods in transit, personal accident and many more. Employee liability insurance is a legal obligation for any business which has one or more employees under Employers Liability Compulsory Insurance Act 1969. There are chances of employees getting injured at work or getting ill because of working for you, which might result in the employees claiming compensation. It is therefore important to have employee liability insurance to cover all the compensation cost. 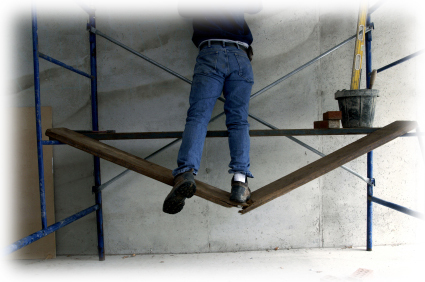 The employee liability insurance covers compensation claims for both employee injury and employee illness. Quote Us can provide you with a low price quote from the top "Employers Liability Compulsory Insurance" insurers in the market. Professional liability insurance is important for most professional businesses and services, for example consultants, software professionals, solicitors, accountants and all others. Professional indemnity covers you against claims where your business has given consultancy, advice or services. The professional liability insurance can safeguard you and offer you legal support in case if you are sued for negligence and making a mistake which has caused a client's business to suffer loses. Some of the cases you can be sued for are intellectual property, negligence, dishonesty and loss of data. Quote Us can provide professional liability insurance for both new businesses and existing business.